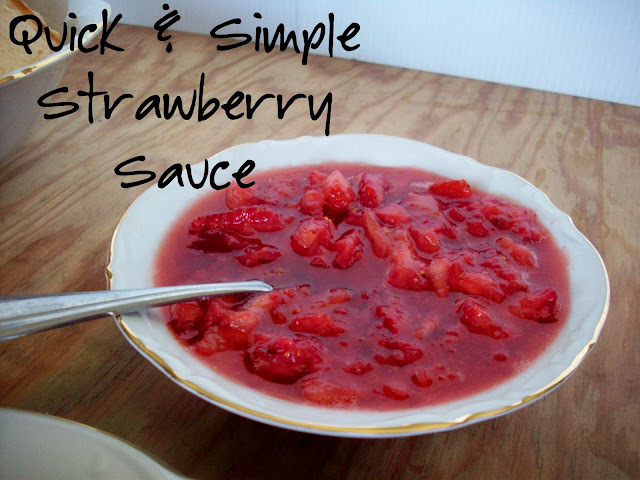 I love sharing this Strawberry Sauce recipe because it is so easy to make. It is yummy on cake and especially cheesecakes! I personally love to have it on my Strawberry Shortcakes. I think what I love most about this recipe is its simplicity. To make this you will only need Strawberries and Sugar. Wash your strawberries (set a few strawberries to the side if you wish to garnish your dessert) and cut off the tops and any bruises. Quarter the strawberries and put in a bowl. 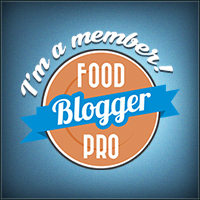 Next add some sugar – depending on how sweet your strawberries are I only add 1 to 2 Tbsp. of sugar. 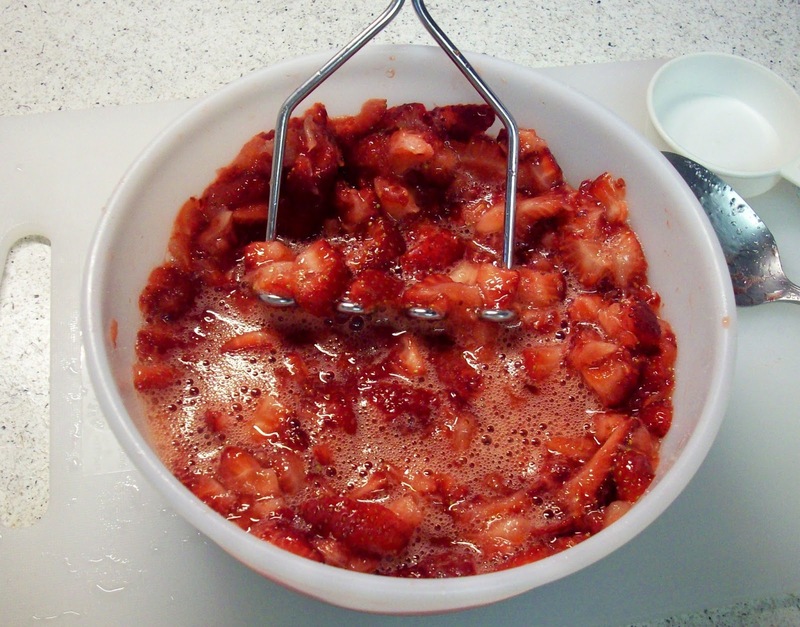 Now I use my potato masher to smash up the strawberries and mix the sugar in. You can mash it to your preference. I like mine to be pretty mashed with a few bigger bits of strawberry. Once everything is mashed up nicely place it the fridge until you need it. I usually try to make this at least an hour before I need it so the sugar can fully dissolve. 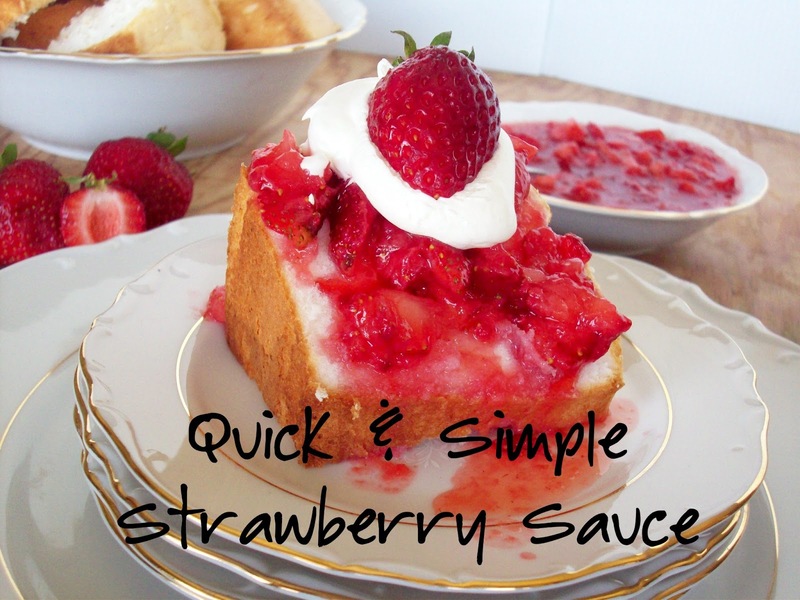 This simple and quick sauce is really simple and I love that there really isn’t much sugar added to it. I recently served this at my Bunco party and everyone loved it! Yummy!! I wish I would have had this recipe last week. I made homemade no bake cheesecake with strawberries on top. I bought a glaze for the strawberries (my mom said it was really good, but I had never had it before). It wasn’t the taste and texture I was going for. This would have been perfect!! Guess now I will have to make another cheesecake…lol!! 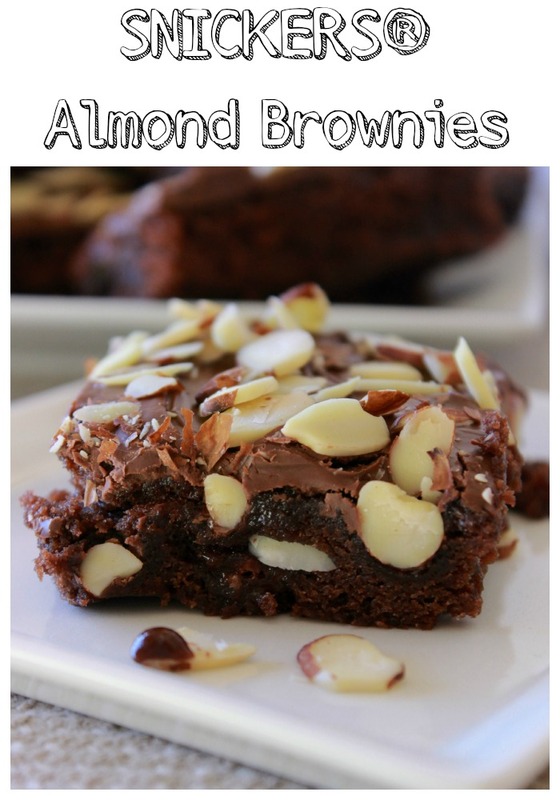 This would be so good on cheesecake – I am doing that for Valentine’s Day! This looks so delicious! I love it on vanilla ice cream. And your pictures are amazing. 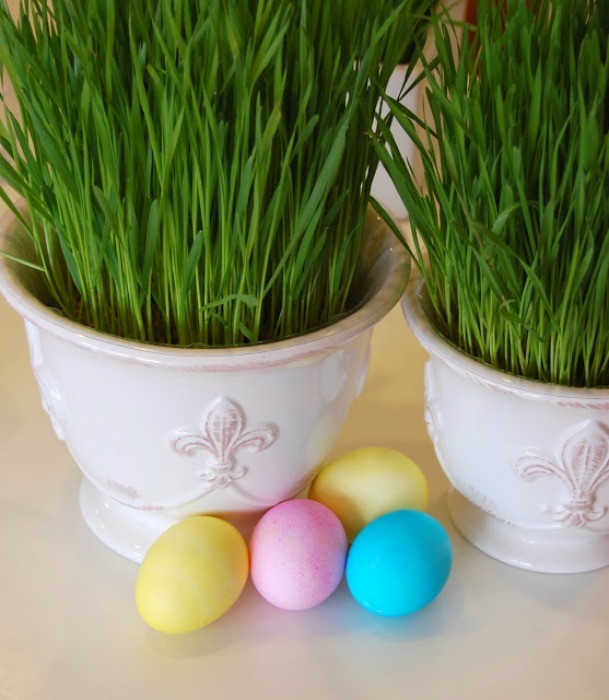 Thank you for linking up on the #HomeMattersParty linky.